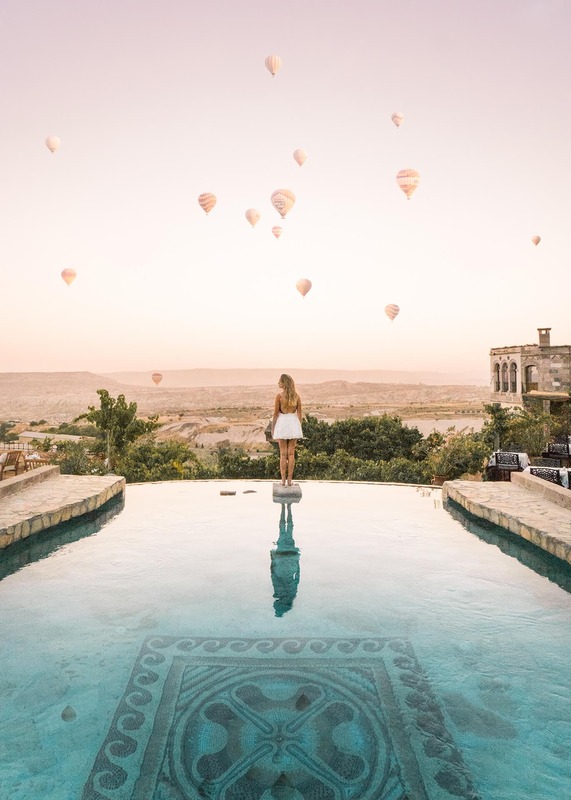 Cappadocia in Turkey is one of those world wonders that came straight out of your dreams. 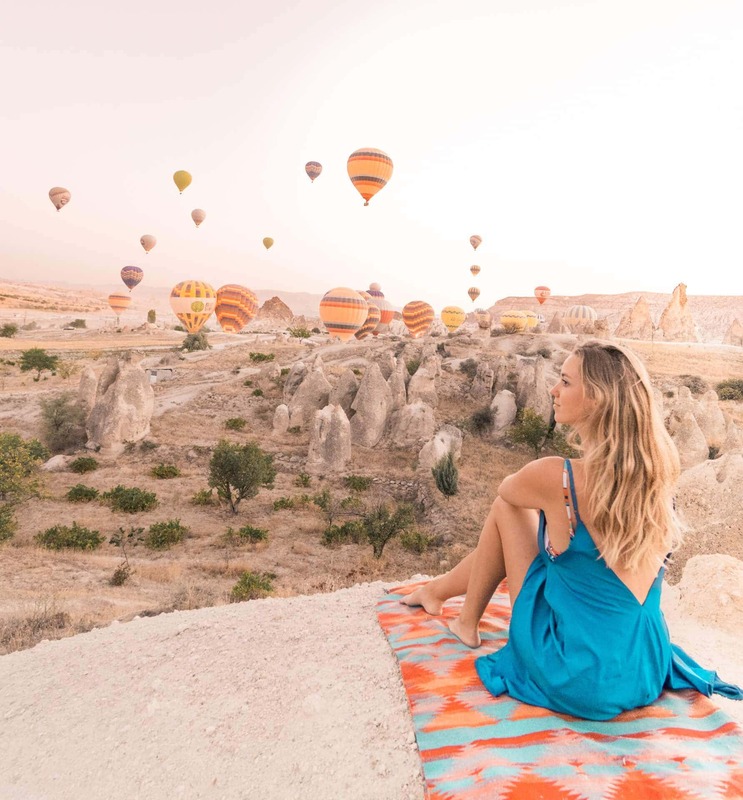 Moon-like landscapes located in Goreme including hundreds of hot air balloons in the sky are what makes Cappadocia so magical. This is, without any doubt, one of the best experiences you’ll have in your life. Cappadocia is beautiful in all seasons, try to avoid July and August. We wouldn’t recommend visiting this area for one day as many people do. At least take two days, better is three or four. 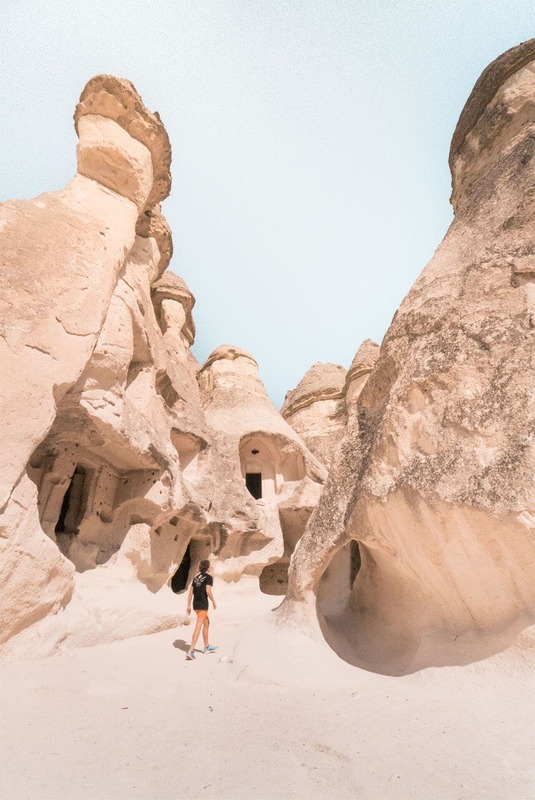 We summed up our top 7 things to do in Cappadocia. 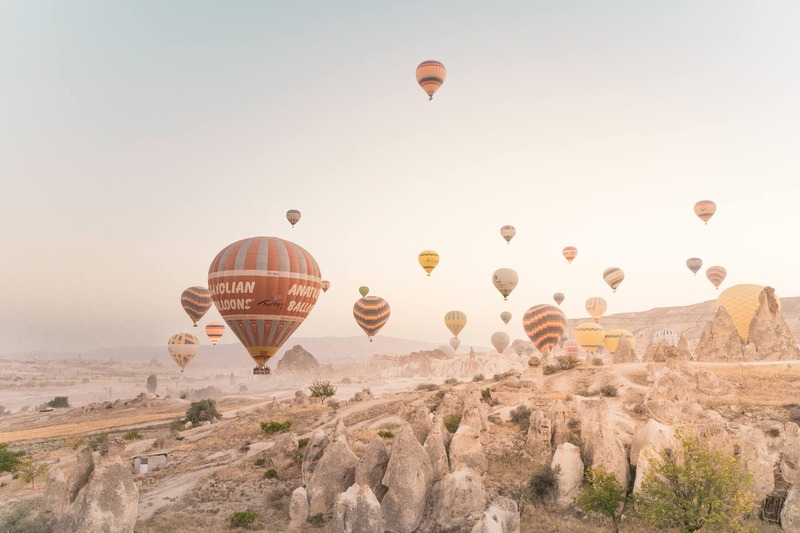 Cappadocia is world-famous for its balloon rides with the sunrise. Hundreds of hot air balloons filling the sky, flying over and through the fairytale-like canyons. You will be picked up from your hotel around 5 AM and will start flying from 5:45 AM. This is a once in a lifetime experience, but there is a price tag on it. The price of a Cappadocia Hot Air Balloon flight usually is around $180. Check out Butterfly Balloons. Rose Valley is a one of a kind. Valleys in the Cappadocia area are great to hike through, from 2 to 10 kilometers, you won’t be bored as a hiker. Another way to explore the valley is by horse is. 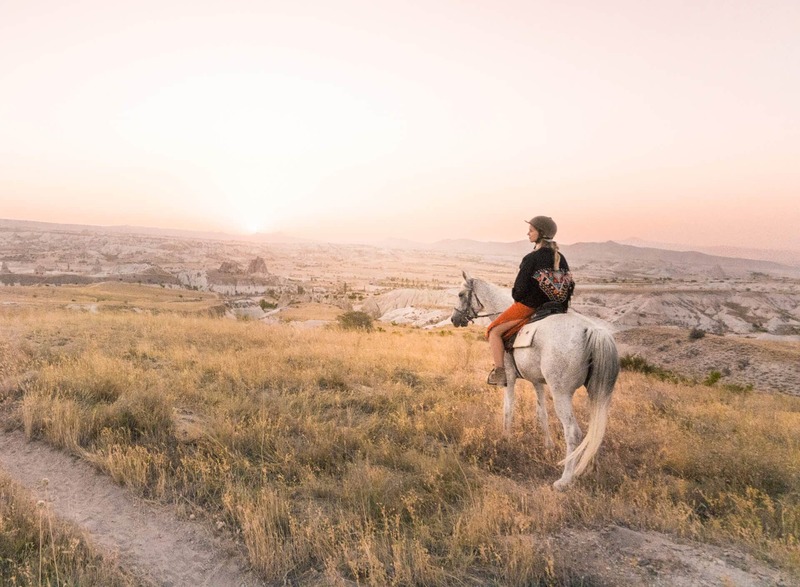 You can do a 1 or 2-hour sunset ride and hike up with the horses to a viewpoint to see the sun disappear. We highly recommend doing this with The Dalton Brothers, without a doubt! Maybe even better than being in a balloon is experiencing the balloons their take-off location. This actually was our number one thing to do in Cappadocia. We had to move to not get hit by one of the baskets while they were in the air, that’s how close they were. Rent a bike or motorbike the evening before. Go out at 5 AM, search on Google Maps for The Dalton Brothers, there’s a road that runs at the foot of the valley. Follow this for about 5 minutes, park if you see some hot air balloons lighting up. Hike up for about 1 minute on one of the mountains and experience balloons flight all around you. Also, see the full Turkey Route trip. The Cappadocia Open Air Museum is one of Turkey’s Unesco World Heritages. And one of the essential things to see in Cappadocia. The entrance to the Open Air Museum is around 10 TL which is 2.50$. An alternative to the Open Air Museum is to visit Pasabag, which is a little more dislocated but free to enter and less busy. There’s a shop in Goreme, a town in the Cappadocia area which sells rugs and other kinds of handicraft. A huge shop with over 50.000 pieces of craftsmanship divided over 17 rooms that’s Galeri Ikman. It is owned by the friendliest shop owner we’ve ever met. Take a piece home if you’re able to fit something in your suitcase. We took two cushion covers with us. Caves house were cut out hundreds of years ago and used as houses and churches. Nowadays, many hotels now took over and maintain those caves. A beautiful cave hotel for just $20 a night. For just $16 a night including breakfast and a beautiful terrace view! Waking up in a fairytale, Museum Hotel is the place! 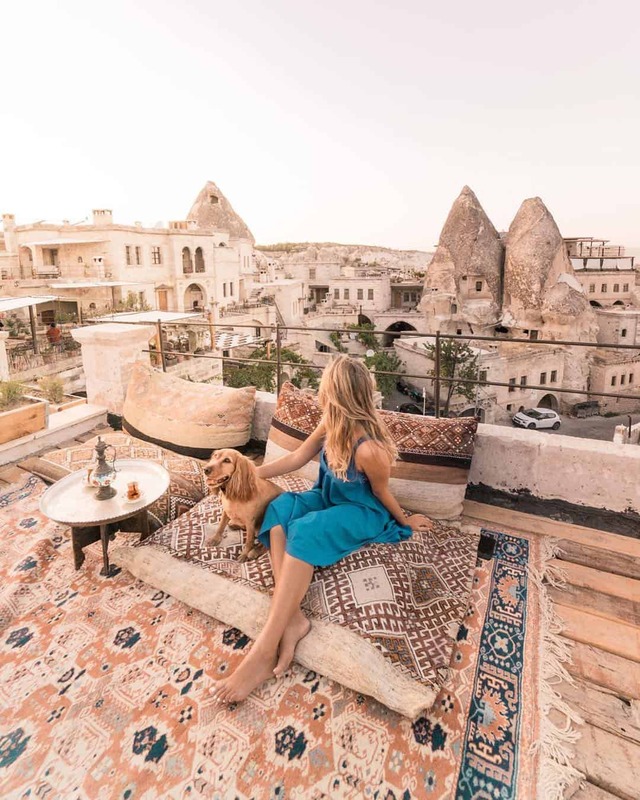 Our favorite stay in Cappadocia, great people and a perfect location. 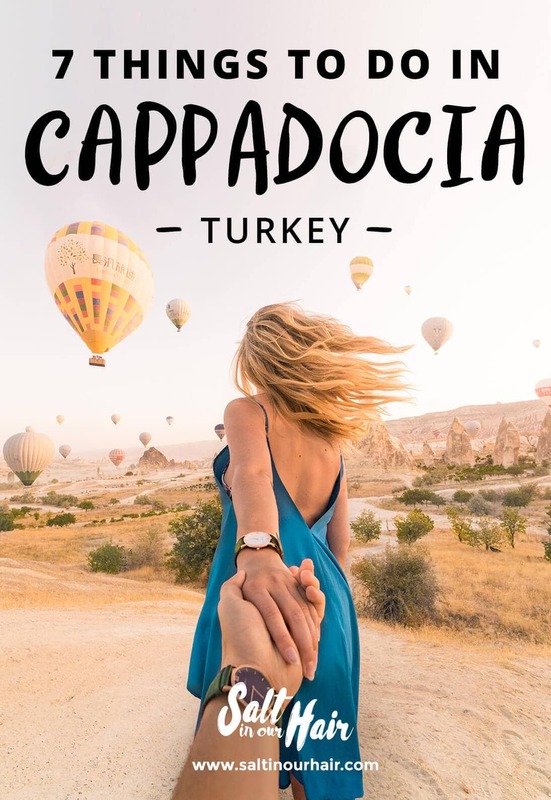 There are two good options to get in Cappadocia. 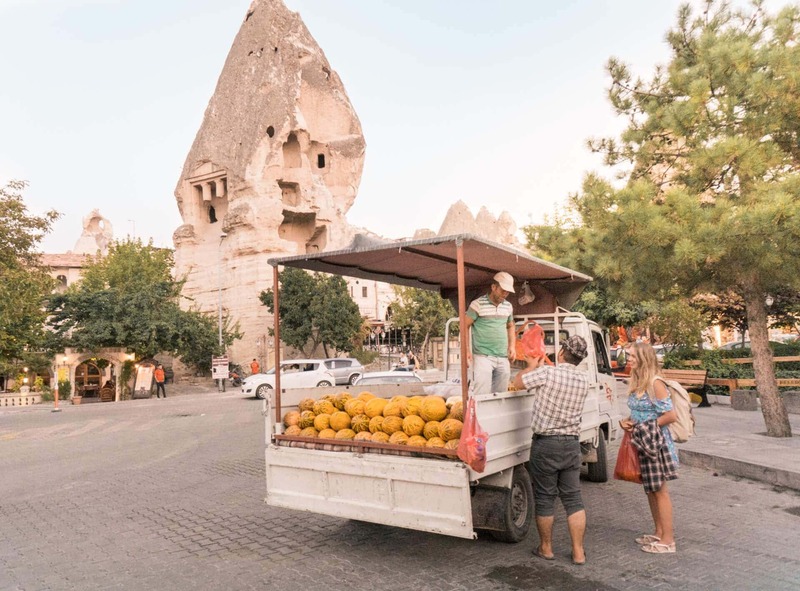 The night bus runs from multiple cities and will drop you off the next morning in Goreme, Cappadocia. The bus takes about 12 hours and is credited for its comfortable ride and good service. There are also two airports near Goreme. Search for flights from Istanbul or Antalya to Kayseri, the flight takes about 1 hour. Returns can be found for $30 up to $100. Which is a perfect price if you’re not too much on a budget or don’t have enough time to spend all night on the bus.